Former Blue Jays closer Duane Ward gives some instructions to a pair readying to leave the Rogers Centre bullpen at tryouts for the third annual Tournament 12 which features the best high schoolers from across Canada. Photo: Michele Prata. TORONTO, Ont. 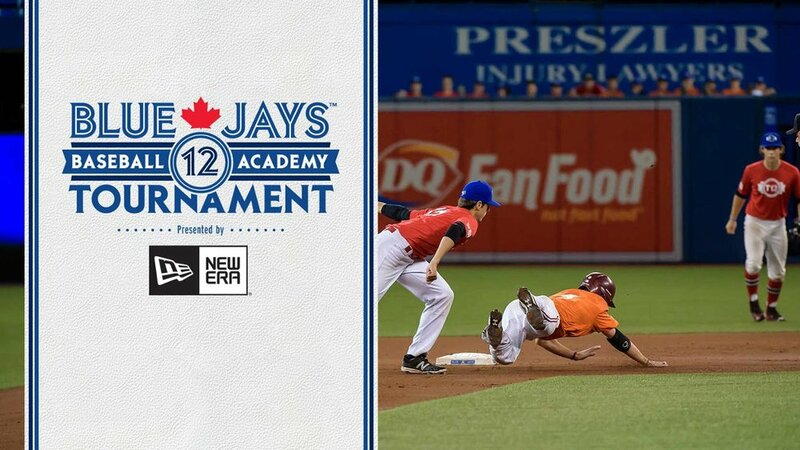 – Tournament 12 tryouts are underway at Rogers Centre, and with a fraction of spots available for the hundreds of hopefuls looking to participate in the third-annual showcase event in September, the Toronto Blue Jays are looking to offer the best experience possible for every participant. Tuesday evening, the Blue Jays Baseball Academy hosted the first of seven groups of young Canadian players hoping to earn a spot on one of the two teams that will represent the province of Ontario – or potentially the Futures Team roster – in the five-day tournament that has become a must-attend event for many major league scouts and college recruiters. 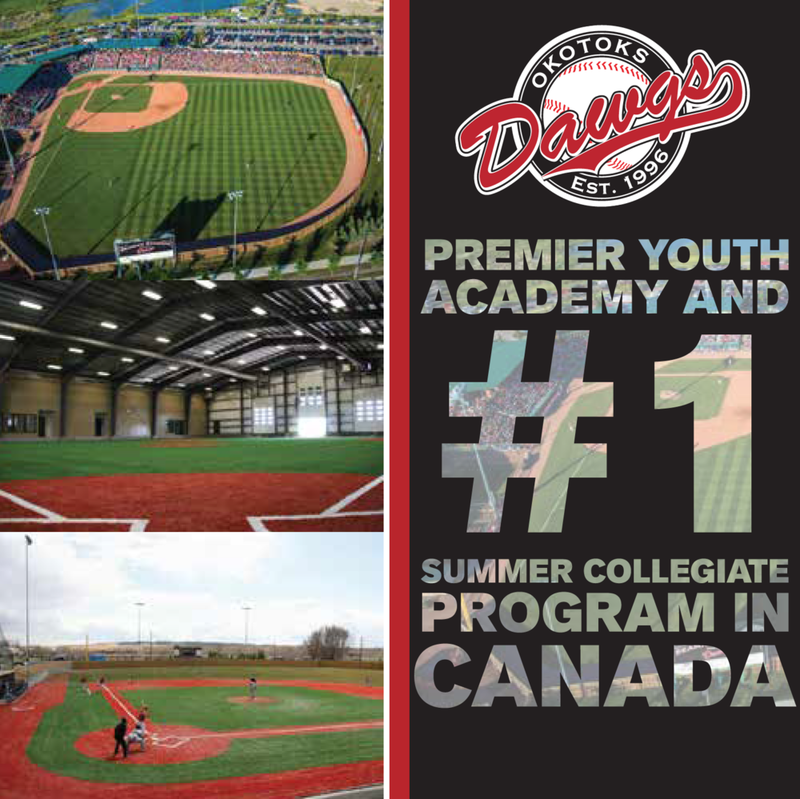 With over 650 teens slated to attend and final rosters of 20 players, Toronto alumni coaches like tournament commissioner and Hall of Famer Roberto Alomar, Lloyd Moseby, Devon White, Duane Ward, Tanyon Sturtze, along with Sandy Alomar, want to make sure that each young player gets the most out of their time on the turf. The biggest thing that the former big leaguers try to stress to all those players trying out is to take the pressure off and just be themselves, which was easier said than done for those stepping onto the field for the first time and trying to soak in the Major League atmosphere. For some, the opportunity this week will just be a stepping stone for the future. Toronto’s alumni are hoping to help all those who come through prepare for the next step, whether it includes Tournament 12 or not. While many of the players attending were vying for a spot in September, two of Tuesday night’s youngest players were just hoping to get themselves on the radar, and to take advantage of the playing time available to them at Rogers Centre. The individual instruction they received from the alumni coaches was an added bonus. John Wells, father to Lucas and one of the coaches of both players’ minor bantam team, was excited at the opportunity the young men were offered, and ecstatic that they were able to take advantage of the great baseball minds on hand for the event. All eight Canadian high schoolers selected in last year’s MLB first-year player draft were participants in the inaugural Tournament 12, named for its commissioner, and more are expected to be selected this June. The biggest success story from the event so far has been Andrew Case, a free-agent sign by the Blue Jays after he threw nine no-hit innings over two appearances with 19 strikeouts and won a championship with the Maritimes team in 2013. His 16-year-old brother, Nick McDermott, was one of the 95 players hoping to make an impression on Tuesday night, after seeing the different it made for his sibling. Players do not need to attend a tryout camp in order to be selected to the tournament’s final rosters, but it offers them the best chance of exposure. Next week, the first five names for each team will be announced, and after all of the originally-scheduled tryouts are complete, more than 50 Ontario players – the province with the highest volume of attendees – will be invited back for another look over a short period of time in August.